If you are interested in astrology, numerology, palm reading, psychic readings, clairvoyance etc then you are already aware that life is not one big coincidence, but a series of patterns and puzzles from which we can decipher clues as to our unique potentials and destiny. As many of you know I write books on astrology, however numerology is the perfect complement to astrology in terms of gaining an insight into your personality and life path. Numerology is a simple way of gaining insights into yourself and others via those most fundamental letters and numbers connected to you ie your name and date of birth. The date of birth is key as it is the one constant in life: our name and place we live changes, but as the compass always points North, our date of birth is fixed and fundamental to who we are. The purpose of this book is to dive right into numerology with a hands on guide to how to calculate your numbers and what they mean. This is an ideal introduction, but it is not just an introduction but full of revealing information. 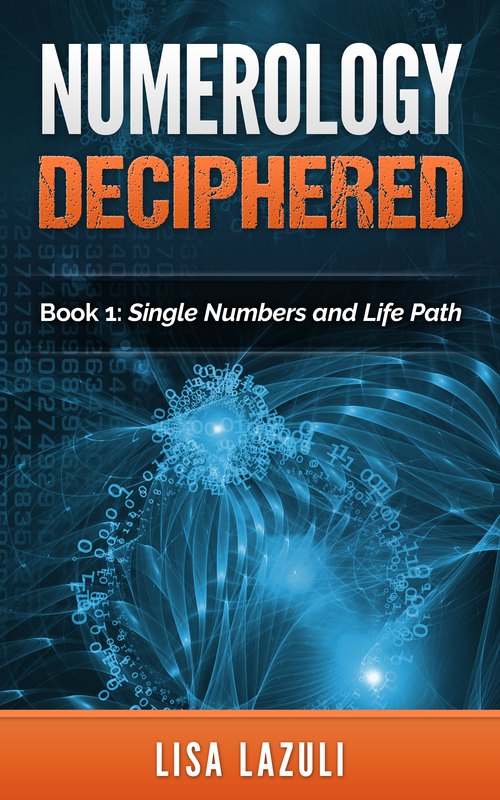 We will mainly be looking at the numbers 1-9 and the master numbers 11 and 22, but I will go over the exact meanings of the compound numbers in Book 2. I am a self-published author like you are. I have self-published over 6 books via Amazon and most of my sales came without any marketing or promotion. Amazon has done all the selling for me so far. All I needed to do was write a good book and put it out there in the market. I needed to explore the infinite possibilities of promoting a book. I wasn’t convinced since I have been an online marketer for 7 years. The fire inside my marketing brain was still burning. The idea of self-publishing is a blessing for many authors and I want to help them further with their work. Thus, the idea to write this book was born. This book has a lot of marketing tips on how to sell more books, success stories, case studies, strategies, and brilliant hacks. Book marketing is not dead. Only the techniques and strategies have changed for authors. This is the ultimate book marketing resource you will find on the internet. You will also find a lot of interviews inside the book by prominent authors like ‘Steve Scott’ who is known for his ‘books on habit’. He makes over $60k every month and he shares some valuable insights in this book. Let me tell you what you should expect from this book. I have very little first-hand experience with physical book marketing. Hence, I have taken help from tons of other marketers and publicists to write about offline book marketing. I have worked on my strengths. I am an online marketer since 7 years. I will help you to promote your books online in the most effective way. Online marketing triumphs offline marketing since it’s cheaper, less time consuming, can be automated and an audience is easily accessible. Once you set up everything, it takes very little effort to do the promotion. It wasn’t an endeavour of just one person (me) but hundreds of others. This book wouldn’t have been possible without the help of many other authors whom I have been in regular touch with. They have shared their secrets, helped me produce a book that will help any first time author to promote his/her book. This book was primarily written for non-fiction writers who target a specific niche/audience. Although, fictions writers will also be able to take away a lot of valuable knowledge. There’s no definite answer to marketing. Marketing itself means innovation. Each and every author will need to work his way up with some unique ideas of his or her own. There are specific triggers in our brain. Whenever we read a good book or listen to a podcast, these triggers are activated. We go through a phase called, “conceptual blending” where we mix the ideas of the author/speaker with our old ideas/techniques. We can then come up with a brand new idea that’s more refined and unique. There are thousands of marketing techniques but you can not focus on each and every one of them. It’s just not worth your time. Do remember the Pareto principle of 80-20 rule. 20% of your effort will produce 80% of the results. We will focus on that 20% effort to give us a competitive edge over our competitors. There’s always a way to do the same thing is a lot of different ways to produce the optimum result. Example: You can either personally walk to 10-15 different bookstores in your city and request them to store a few copies of your book or email a thousand bookstore owners from across the globe with the same request but this time, it will only take a minute using automation. The Problem with Paleo: Taking a Deeper Look at the Popular Myths and Fallacies of Eating Like a Caveman – Kindle edition by Joey Lott. Health, Fitness & Dieting Kindle . Holy Health Food or Paleo Propaganda? So, you’ve given up grains, sugar, and dairy—the evil white foods—in the name of health and weight loss. Seems like a pretty good plan, right? After all, the world is abuzz right now with paleo diet plans and low-carb lifestyle tips. It seems everyone has gotten on the paleo bandwagon, but is it really all it’s cracked up to be? Lots of Hype, But How Much is True? The industry experts—the Wolfs, the Sissons, the Kressers—claim that a paleo or “primal” diet can cure all that ails you. Diabetes will disappear. Digestion will run like clockwork. Your excess weight will melt right off, and your muscles will be the envy of bodybuilders everywhere. The trouble is that most people don’t question if any of it is really true. Worse yet, some people start to experience negative side effects—fatigue, weakness, anxiety—and go to greater dietary extremes, still sucked into the paleo ideology. The trouble with most diets is that they claim to work for everyone all the time. And the truth is that that is simply not true! Paleo is no different. So if paleo doesn’t work the way it says it does, what is the truth? Is insulin really the “fat-storing” hormone? Is sugar really the devil? If ketones are the preferred fuel source for the body, why will the body resort to eating its own muscle tissue if it’s deprived of carbohydrates? Author Joey Lott explores these, and other vital questions in The Problem with Paleo, a must-read for anyone hooked on the paleo propaganda but wondering if it’s really too good to be true. If you thought the paleo diet was going to be your cure all, but instead you feel weak and anxious, then maybe it’s time to ask some important questions and get a balanced view on this diet craze. The Problem with Paleo could be your solution. Sugar is the devil we all know – addictive and dangerous. Get ready for: 3 GLUTEN FREE + 10 DAIRY FREE + 28 PALEO + 6 OTHER = 47 SUGAR FREE DESSERTS. Sugar not only rots our teeth and makes us fat, it depletes valuable minerals from the body, uses up Vitamin C and feeds cancer cells. Popular diets like Paleo, Candida and Alkaline forbid sugar and that is why I have also included Paleo and Candida compatible recipes too. 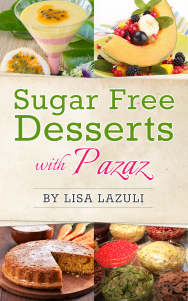 Go ahead and try making your very own sugar-free desserts and we guarantee you that your family will enjoy them as they are GUILT FREE and actually contain both fruits and nuts which can dramatically enhance health by improving your nutrition. I was provided with a free copy of this book so I could give an honest review. When I started the book, I was thinking where is this going, maybe I picked the wrong book. After a few pages, ooh my! I couldn’t stop reading. After 3:30 in the night. I finished and I have to say, it is one of the better books I’ve read. The author is now on list of must read. Mercury turns retrograde on the 22nd of Jan, and so it would be wise to complete all negotiations about contracts and other legal issues before then. Discussions within business partnerships and also in situations where you work with your spouse should also happen pre the 22nd as thereafter it will be harder to reach understandings and have constructive conversations. I’m happy with my purchase. The author writes in a conversational style, which made the reading easy for me. The book is divided by month, and then subdivided into Life, Love, and Career. The author was the BBC resident astrologist, which I think explains her approachable writing style. Overall, a good read. I enjoyed this book a lot. I realized that it is very different from the newspaper horoscopes I usually ready, mostly because I believe it is more honest and perceptive. 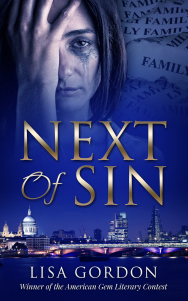 I enjoyed the author’s style of writing which really grabbed my attention and kept me reading. Many other books like this are monotonous but the language used in this book is more personal making it much more interesting to read. I was about to pas this book over I must say but through reading I have realized that most of the issues that many persons spoke about either don’t exist or were corrected by the author. I loved it and I must say it is a breath of fresh air whenever I need it. 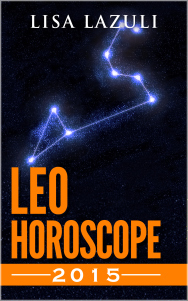 Following the success of best-seller HOROSCOPE 2014: Astrology and Numerology Horoscopes, Lazuli will be releasing 12 books: one for each star sign’s horoscope for 2015. 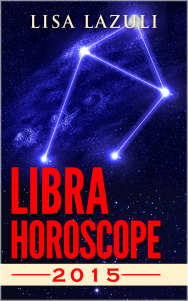 Includes a detailed yearly overview for Libra, followed by monthly forecasts broken into love, life and career.